Contact Our Rigby Dental Clinic Today! With experience in the field of dentistry since 2005, we at Cedar Creek Dental have seen teeth in all sorts of conditions. We’ve also seen patients experiencing all kinds of anxiety as they walk through our door. This isn’t uncommon - fear of the dentist is something almost everyone goes through to some degree. It’s perfectly natural, and understandable. Your teeth are extremely sensitive. Even if all you need is a routine checkup and cleaning, the thought of someone poking around on your teeth can send shivers up your spine. For many, “just another dental clinic” isn’t going to cut it. They’re looking for the best dental office in Rigby in terms of comfort, effectiveness, and ability to manage dental pain. Many of our patients actually find that their dental appointment was, overall, a relaxing and positive experience, rather than an unpleasant necessity. Our spa amenities are offered in a calm and relaxing environment, so you can sit back and relax while the work is being performed. After your appointment, we’ll also send you off with a sorbet. You can choose from a variety of flavors. 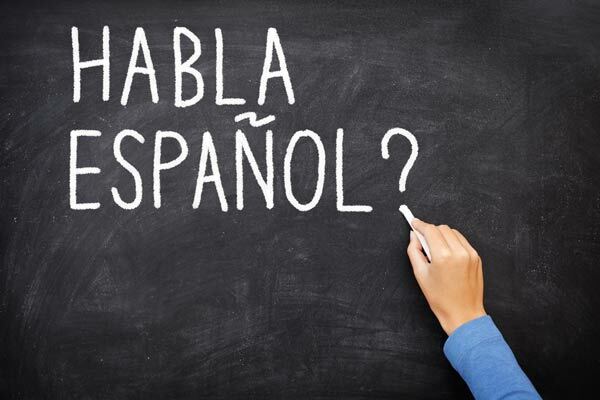 For many members of our community, a language barrier prevents them from getting all of the information they need. This can discourage them and lead to procrastination when it comes to getting their much-need dental work done. This can lead to painful and even dangerous outcomes. In addition to our relaxing spa amenities, another reason many consider us the best dental office in Rigby is that we are bi-lingual. Dr. Quinn Mikesell is fluent in Spanish. His ability to communicate with those not fluent in English allows him to provide information and services to more people than your average Rigby dental clinic. A big part of proper dental hygiene is scheduling regular appointments with your dentist. A simple dental exam and cleaning on a consistent basis will provide long-term dental benefits such as preventing cavities, dental decay, and periodontal (gum) disease. We also offer digital x-ray diagnostics, which require 90% less radiation than standard x-rays! This is healthier for you and the environment. Another reason people consider us one of the best dental clinics in Rigby is that we offer same-day crowns. All too often, dentists send their patients away with a temporary crown that falls out later that night. This can make for a painful experience until another temporary crown, or permanent crown is installed in its place. As the name implies, our CEREC same-day crowns are permanent, installed the very day you come in for them. Whether your tooth was damaged and had to be extracted, or it fell out over time due to decay, we can install a brand new implant that looks and feels just like a natural tooth. First, we’ll install the implant itself (this is a titanium “post” upon which a dental crown will later be placed). Then, some time will pass for the jaw bone and gums to heal around the post in a process called “osseointegration”. After that process is complete, we will install the dental crown. Contrary to what many people might claim, root canals really don’t have to be that bad. They certainly aren’t the nightmare they once were, and what makes us one of the best dental offices in Rigby is our ability to perform these procedures cleanly and efficiently while mitigating pain as much as possible. We will clean out the infected tooth tissue, apply the required medicine, and seal the tooth off with a dental crown. Ultimately, our root canal therapy will eliminate your tooth pain. Sometimes, your smile just needs an extra boost. Porcelain veneers are essentially “shells” that can be installed over your teeth. They’re a great way of covering up stained, chipped, crooked, or misaligned teeth. We can create the perfect replica of your ideal smile and install it in no time. Porcelain veneers are also stain-resistant, offering a solution to stained teeth that can last a long time. With our porcelain veneers, you can have confidence in your smile, laugh out loud with your friends, and not have to worry about any dental imperfections. Bridges are ideal for a missing tooth that sits next to a tooth requiring a crown. This is because more stability is achieved for both the dental implant and the crown. Dental bridges actually involve three teeth: the missing tooth requiring an implant, and the two surrounding teeth. We will make an impression of your teeth and then create a false tooth and two crowns. Then, we will install all three. For many years, dentists relied on amalgam (silver) fillings. These are slowly being phased out of the field of dentistry for a number of reasons. 1) They contain high amounts of mercury (a toxic heavy metal), and 2) They don’t look like natural teeth, leading to a “metal mouth” look. They’re also non-adhesive and have to be forced into place, which can lead to microfractures. Instead, we use resin-based fillings that look and feel like natural teeth and have an adhesive quality, which makes them easier and safer to place. Periodontal disease occurs when plaque begins to negatively affect the gums. When plaque makes its way into the gumline, the body responds by releasing a hormone that causes the gums to become inflamed, leading to easy bleeding, pain, loose gums, and eventual tooth loss. We can help by performing scaling and root planing, as well as modulation (a process that helps reduce the mouth’s hospitality to dangerous toxins. It’s best to have your wisdom teeth removed as soon as possible. The more time that goes by, the more damage they can do. 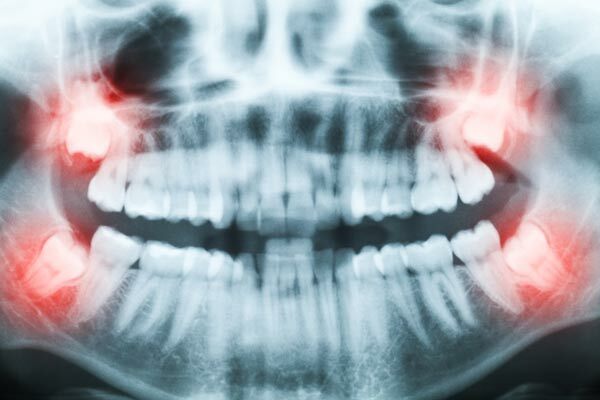 Wisdom teeth can negatively impact the surrounding teeth, causing them to grow crookedly. They can also lead to an abscess, an inflamed pocket of pus at the gumline. We can safely and cleanly remove wisdom teeth, and send you away with all the care information you need until the healing is complete. The Best Dental Office In Rigby Is Ready To See You! Don’t let dental problems develop until they get worse. Once dental decay has reached the point of a cavity, there is simply no natural way of reversing the process. Ignoring the problem won’t make it go away. If you have “fear of the dentist”, you can set that aside as you walk through our door!